Capable of diving down to 12,800 feet (3,900 meters), the Rolex Deepsea Sea-Dweller is one serious diving watch. 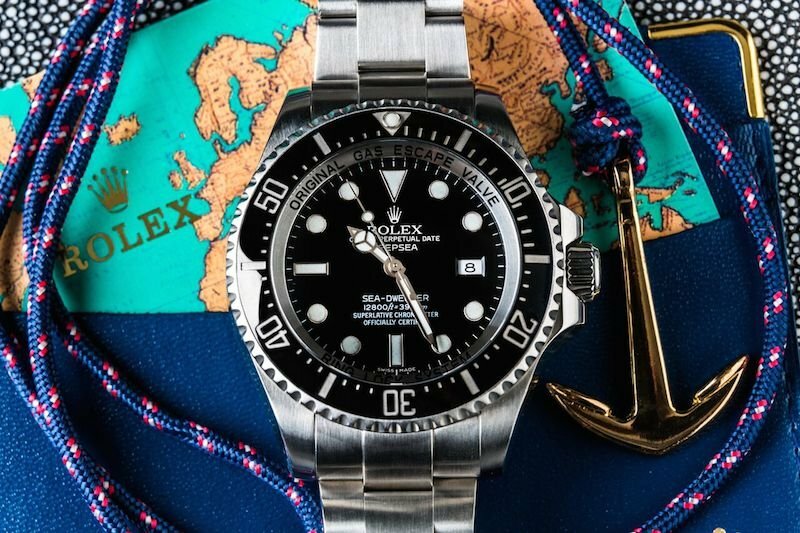 While the history of the Rolex Sea-Dweller goes back to the 1960s when the brand produced a special dive watch for COMEX that could accompany their divers on ultra deep dives, the Deepsea Sea-Dweller is a relatively new model having made its debut in 2008. The most robust of Rolex tool watches, the brand offers two versions of the Deepsea Sea-Dweller ref. 116660. 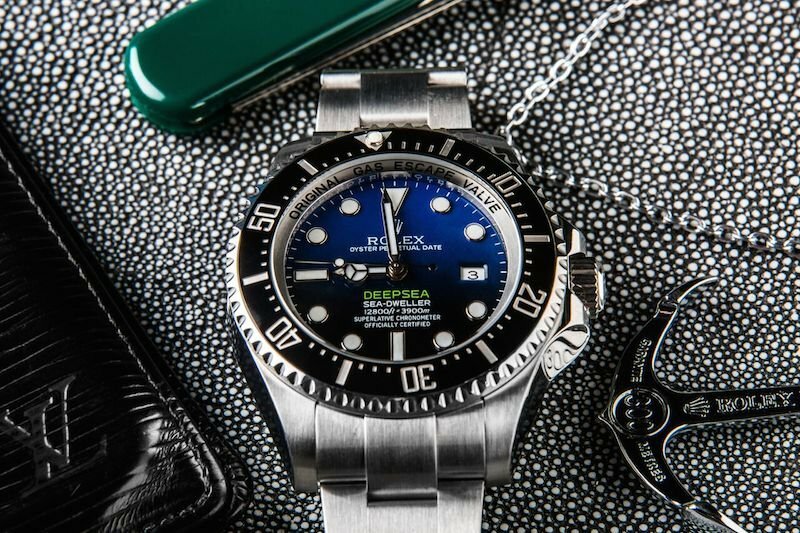 As a modern Rolex sports watch, the Deepsea Sea-Dweller ref. 116660 benefits from all the contemporary fixings the brand has to offer, such as the Cerachrom bezel, Chromalight display, Glidelock system and others. What do all these Rolex terms mean? Well, first off, Cerachrom refers to the scratch and fade resistant ceramic bezel on top of the 44mm Oyster case. And of course, this being a diving watch, the bezel only turns in one direction as a safety precaution because if the bezel is accidently turned, it will display a longer elapsed time rather than a shorter one. Secondly, Chromalight refers to the long-lasting luminescent dial that glows a bright blue color in low light-a much-needed feature when diving in dark waters. And finally, the Glidelock system is a practical feature on the Oyster bracelet to allow the wearer to adjust the fit of the watch, even over a diving suit. Unlike the Sea-Dweller ref. 16660, there have been many updates. The most important feature of the ref. 116660 however, is the helium escape valve (HEV). This mechanism–patented by Rolex in 1967-is one component that permits the watch to reach down to 12,800 feet. The HEV automatically releases any built up helium and other gasses within the Deepsea to prevent damage. Another factor that enables the ref. 116660’s resistance to extreme depth is the 5 mm-thick domed sapphire crystal protecting the dial. Particularly noteworthy is the lack of Cyclops lens on the sapphire crystal, normally found on Rolexes with a date function. The domed crystal, nitrogen-alloyed steel central ring, and titanium caseback form the watch’s construction that Rolex refers to as the patented Ringlock system. In 2012, James Cameron was at the helm of the Deepsea Challenge expedition where he took a submersible down to 35,787 feet to reach the ocean’s deepest point. 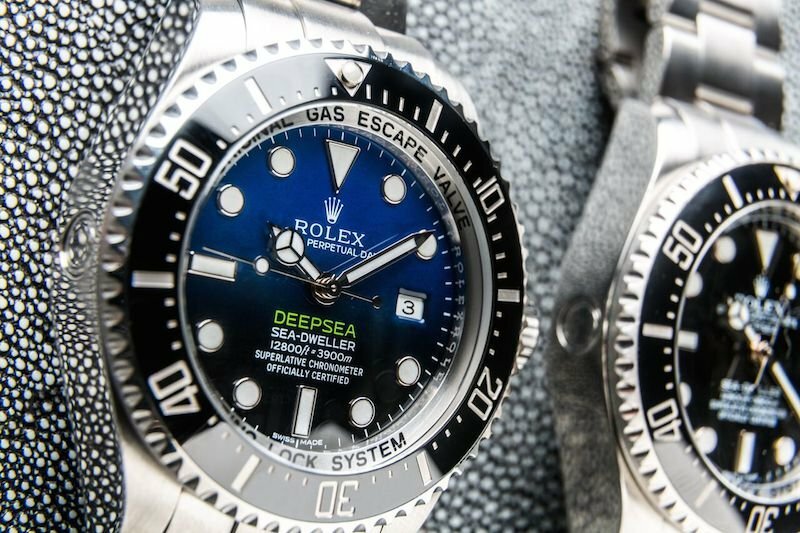 Along for the historic ride was none other than an experimental Rolex Deepsea Challenge watch strapped to the submersible. Two years after the expedition, Rolex presented a commemorative edition of the Deepsea Sea-Dweller ref. 116660. to honor James Cameron’s feat. The Deepsea Sea-Dweller ref. 116660 D-Blue is technically identical to the preceding Deepsea except for its dial. Rather than the black dial, Rolex furnished this ref. 116660 model with a dial that starts off as blue and gradually turns into black. This, accordingly to Rolex, is to represent the color of the water as one ventures deeper down to the bottom of the ocean. Furthermore, the “DEEPSEA” text moved from 12 o’clock to above 6 o’clock and is in the same color as James Cameron’s submersible. Whether you go for the black dial ref. 116660, or the D-Blue version, both ultra dive watches perfectly illustrate Rolex’s mission to always be better, bigger, and more badass than everyone else.